Apple Watch Series 4 with Fall Detection | Is This the Right Option for You? As technology advances, seniors have access to more and more options when it comes to monitoring their health, safety and wellbeing. The latest tech news comes from Apple with the Apple Watch Series 4. But, to first understand how this watch can help seniors, you have to understand the latest technology they have built into the watch. That technology is an accelerometer and gyroscope that measures up to 32 g-forces. 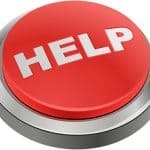 fall detection algorithm can determine if your loved one has suffered from a fall and will call for help automatically. 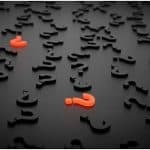 Many people ask, “how does fall detection work?” The accelerometer and gyroscope is the technology responsible for automatic fall detection in medical alert device pendants. These sensors detect your everyday activity and can sense a falling motion. It is also built into many other devices you may own such as your smartphone. An accelerometer measures the change in your velocity or speed divided by time. Think about when you change the position of your smartphone and the orientation of your screen changes with it. That is the accelerometer technology at work! According to LiveScience, a gyroscope is a device that uses the Earth’s gravity to help determine orientation. Both of these applications working together can work effectively to detect falls in seniors. Although this technology has been built into smartphones for a while, the difference is the new Apple Watch claims to have created custom algorithms to more accurately sense when a fall has taken place. One of the criticisms of automatic fall detection in the past has been that it is not always accurate in detecting falls with one recent study showing it detected 12 out of 15 actual falls. 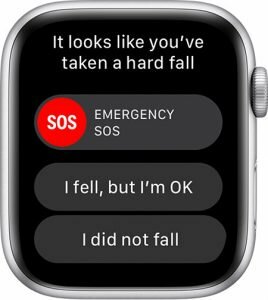 With this new Apple Watch feature, if it senses the user has been immobilized, it will give you an option to choose if you are ok or if you want to call emergency services. If there is no activity for more than 60 seconds, it will automatically call for help from emergency services and send your emergency contacts your location. Getting help fast in these emergency situations is often times key for potentially saving someone’s life. According to the CDC, over 800,000 seniors are hospitalized due to an injury from a fall. Seniors who fall can easily break a hip and that may lead to other complications. Falls are also the leading cause of death from injury among adults 65 and older. With the integration of this technology in devices such as an automatic fall detection pendant, fall detection watch or the new Apple Watch, falls can be treated quickly and hopefully more efficiently to help prevent some of those death by injury falls. What Else Can Apple Watch Series 4 Do? Another great feature of the Apple Watch Series 4 is a heart sensor app that can take an EKG in real time. This is the first direct to consumer device with that heart monitoring ability. It also monitors the heart for any irregularities. The biometric data the watch is collecting is stored within the device and can be sent directly to your health care provider. This particular model is also senior friendly as the display is 30 percent larger and the speaker is 50 percent louder than previous models. In addition to the new Apple Watch features, the watch can be used as a smartphone as well as a fitness tracking device making it the perfect Apple Watch for seniors. See Apple Watch & Fitbit Bring New Era of Health Monitoring Devices for more things you can monitor! These new Apple Watch features could give medical alert companies a run for their money. The cost of the latest Apple Watch Series 4 ranges from $399-$499 depending on the model. A typical medical alert monitoring system can range anywhere from $19.99 a month for a basic system to $89.99 a month for top of the line medial alert monitoring services that includes monitoring falls. Keep in mind, you are paying for professional monitoring services with a traditional medical alert company. The Apple Watch will simply call 911 emergency services to respond to your medical alert emergency. It does not include monthly monitoring services.